The hard working community at Harrietville has just finished production of a very professional fold-out map entitled Harrietville : Tracks and Trails. This is a full-colour, double-sided booklet that follows the format of the popular maps of other nearby venues (for example, Mount Hotham and Dinner Plain), and was designed by well known graphic artist, Andrew Swift. 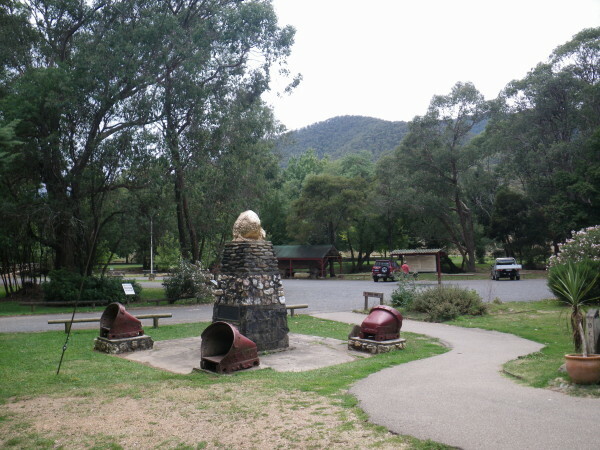 All of the walks in the Harrietville area are covered, for example the Tronoh Dredge Trails, The Riverside Track and Charley Miley Track. Longer, more arduous routes, such as the Bon Accord Track, the Bungalow Spur and the North-west Spur Track, are also well documented. The map is available from Visitor Information Centres in the North-east, and like the others in this format, is free of charge.